If you want to find an established plumbing company you can trust to produce outstanding workmanship, excellent service at very reasonable prices you have found them. Our company are recognized as leading industry experts in all plumbing and natural gas work. We have been trading since 1962 and have invaluable knowledge and experience within the industry. Some of our senior staff have been with us for more than 30 years. This means we have the knowledge and resources to tackle all jobs large and small. 8 Good reasons to choose us. We are a large established company with excellent reviews and references. We are widely respected within the industry and recognized industry leaders for all domestic and commercial plumbing services. Also for your peace of mind, all of our work is covered by our company guarantee. If by the remotest of chances a problem does occur we will immediately dispatch one of our team to fix it. This will usually be the team member who completed the work in the first place. Any parts that we use are under the manufacturer’s warranty and if there is a problem we will sort it out. All of our staff are fully trained and qualified plumbers. We check their R.G.I. registration and make sure they are fully versed in all health and safety legislation. Consequently, before we employ any person we vet them and check references. This process means we only employ people with the same commitment to provide the best service possible, as required by our mandate. We pride ourselves on our honest and upfront pricing policy. This has been one thing our reputation has been built on. Therefore we are happy to provide a free no obligation quote upfront and we stick to it. Unfortunately, some companies will still look to add on hidden fess and charges. These can include a call out charge. Charges for traveling time. Charging for time to get parts and miscellaneous fees for parking costs for example. We will never do this and our price does not change. Consequently, you will never have a shock when the bill comes. Payment is only required once the job is completed and to the full satisfaction of the client. We like to remind our customers for their extra reassurance that we are comprehensively covered by both professional and public indemnity insurance. Our staff members are extremely proud of their work and our reviews and testimonials back this up. We do not leave our clients disappointed and they are never unhappy with our work. Our aim is always to provide the best plumbing services in Ireland. 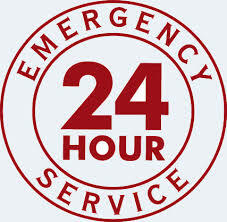 We provide a 24 hour a day, 7 days a week emergency Dublin plumbing service. This ensures that our customers are not left alone in despair when you really need us. As a result, no matter what time you call us, day and night one of our senior staff will answer your call. We will try to help over the phone and if required we will have a local on call Dublin plumber at your home or business within the hour. We never ask for a call out fee. All of our staff focus on accomplishing the highest standards of workmanship. We know that our customer service is second to none. Consequently, this has been and is one of our keys to continued success within the industry. Our flexibility means we work around our clients and will arrange to visit you at your convenience. This may be early mornings, evenings or weekends at no extra cost. We are courteous, professional and respectful and will always go the extra mile to provide customer satisfaction. On completion of our work we ensure your property is left as neat and tidy as when we arrived. Emergency call outs and standard repair work from. In the unfortunate cases of plumbing emergencies, we are always available. If your heating has stopped working or have a pipe that has burst we can fix it for you. We don’t charge for the call out and we will be there to help in under an hour day or night. At times our friendly, expert advice over the phone can be enough to solve the problem. This is free of charge and for standard repairs we always have a team member available to come to your premises at a time that suits you. Just call 01-6874852. Our staff can service your boiler or repair it as required. We have over 40 years working with all types makes and models of boilers. A professional boiler service takes between 30 minuted and an hour and we always issue a R.G.I. compliance cert on completion. Our current boiler servicing rates dependent on the make and model and is between €59-€89. This is anywhere between €10 and €40 cheaper than a Bord Gais energy standard service. I f your boiler breaks down we won’t leave you in the cold. We will send one of our boiler service technicians to diagnose the problem and fix it quickly and efficiently. Our team can provide your dream bathroom renovation. The Plumber Dublin team has over 40 years expertise in custom bathroom refurbishments. Please have a look at some of the pictures and reviews in our gallery of works. We can call out to you and offer expert professional advice to you on designs and ideas. We are always happy to offer a no obligation quotation on any work you may require. When the bad weather strikes and your drains become blocked we have drainage experts that can solve your problem. We offer a wide range of services for Drain Unblocking. We make sure we come equipped with jet flushing equipment, a plumbers snake, rods and in severe cases our C.C.T.V. to diagnose where the problem originated from. Unlike some companies we won’t just clear your problem and that’s it. Our employees try to make sure it doesn’t happen again. We can send one of our drain services engineers to your property within an hour in emergency situations. Our staff service and replace all types of heating and water pumps. Our vast experience means we have dealt with all types of heating and water pumps on the market. We can replace or service your pump as required and at very competitive rates. Call us today for a free quote. Our R.G.I. 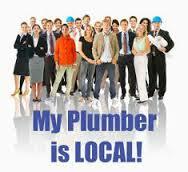 Registered plumbers provide free estimates for all gas installations. Whatever the gas appliance you need installing call our experts. A senior R.G.I. registered installer from the team will pop out and tender a free no obligation quote for the work you require. For any plumbing requirements you may have call one of the team on 01-6874852. We are always happy to take your call and provide free expert advice and quotes as required. 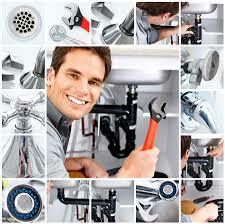 Plumber Dublin your one stop plumbing shop.